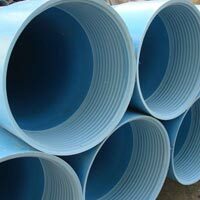 Kankai Pipes & Fittings Private Limited is a prominent Manufacturer, Supplier and Exporter of Plastic Products including Plastic Pipes and Plastic Pipe Fittings. The Plastic Products, which we offer, are acclaimed for their flexibility, thinness, lightweight, and long-lasting nature. All these attributes make our Plastic Products suitable for several industrial applications. The company was established in the year 2010 in the city of Rajkot, Gujarat (India). It functions under the able guidance of Mr. Dhaval Patel, who has an experience of 4 years in this field. Owing to his dedication and support, the company has reached to the turnover of 1-2 crores in a very short timeframe.